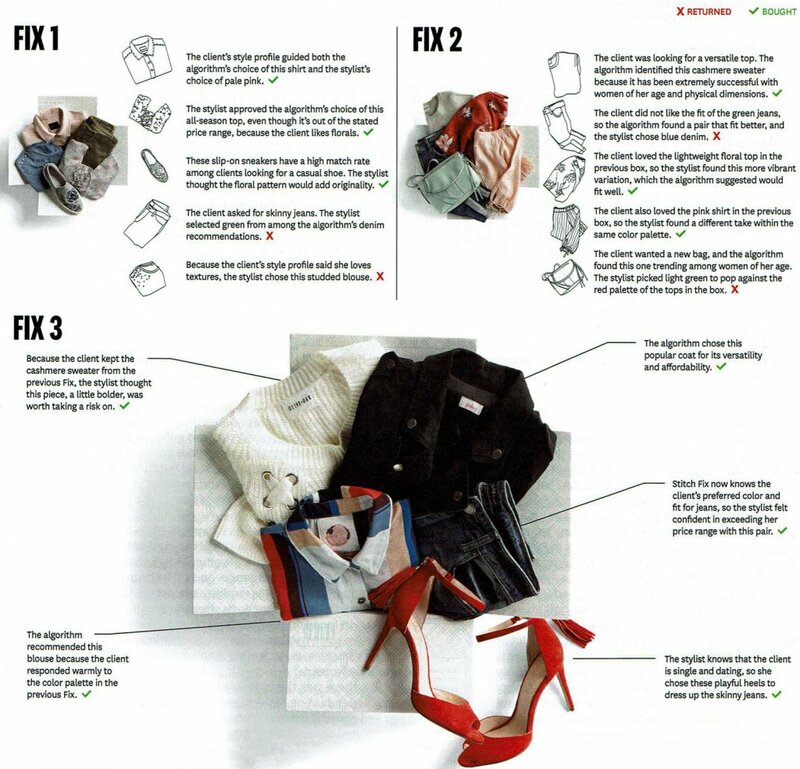 Stitch Fix uses data that clients supply, beginning with a “style profile”, and a suite of algorithms to capture their reactions to merchandise. Human stylists (algorithmically matched with clients) review and revise every box of five items before it is mailed. Clients respond with written answers to five survey questions about each item along with comments. That feedback, together with purchase history, allows Stitch Fix to improve over time. The images illustrate how the algorithm and the stylist together might choose one client’s very first Fix and two successive ones.